Back on the trampolines: Find out what's been happening at Vuly. We're back on the trampolines! Find out what's been happening at Vuly. Phew—it’s been a whirlwind 6 months for us here at Vuly Trampolines! We’ve had some big changes of late, and as a result, we’ve gone a little bit quiet on the blog and social front. Don’t worry, though, we’re committed to getting right back out amongst the trampolining community, and chatting with all you Vuly-lovers out there. We’ve already talked about our recent success at the Good Design Awards®, but in our brief absence, there’s been a lot of other really exciting developments that we can’t wait to share with you. Believe it or not, we can get more global. We recently secured partnership deals with Jumping Star in Germany, Trampset in Russia and Arch Play in Italy. Each is now, or will soon be, distributing Vuly trampolines! With our popularity surging in the U.S., our range of revolutionary and ultra-safe trampolines is available to more people than ever. Is there anything more fun than an expo, and a toy one at that? We didn’t think so when we attended a number of major toy fairs this year. 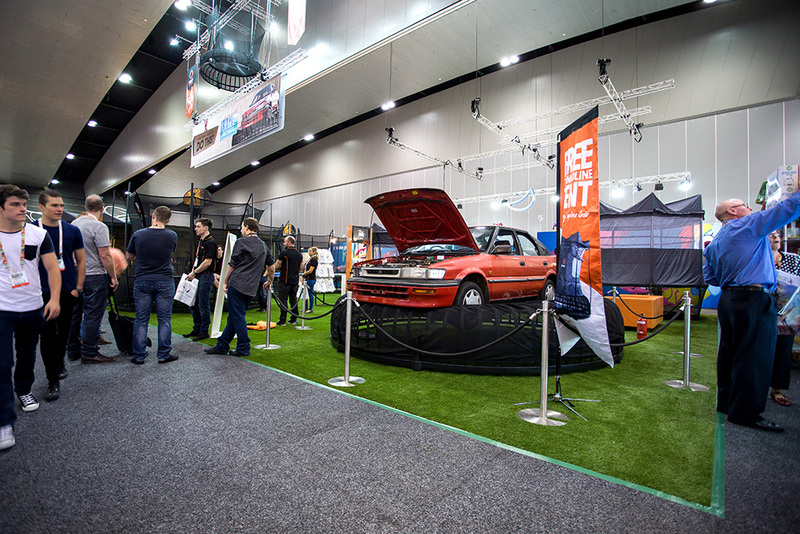 The Australian Toy Association’s Melbourne Toy Fair was an incredible display of ingenious ideas and products, and Vuly was well represented with our trampoline range—which were huge hits. We also flew all the way to Germany for an exclusive showcase, and a series of exciting meetings, during the Nuremberg International Toy Fair. Look out for a trading relationship in 2016, Deutsch friends. Here at Vuly HQ, we’ve also had to break the shackles on our warehousing and logistics division. As we grew over the years, the constraints of our smaller warehouse site became more obvious. So, in the past few months, we undertook a massive upgrade of these facilities to dramatically improve our efficiency. If you order from Vuly, we can process it and have your trampoline on its way quicker than ever. In what’s perhaps our most exciting news, Toys ‘R’ Us is now carrying Vuly’s entire range—the Classic, Vuly 2 and Thunder Summer—through their national network. Not only that, they also awarded us 2015’s Best Marketing Campaign! 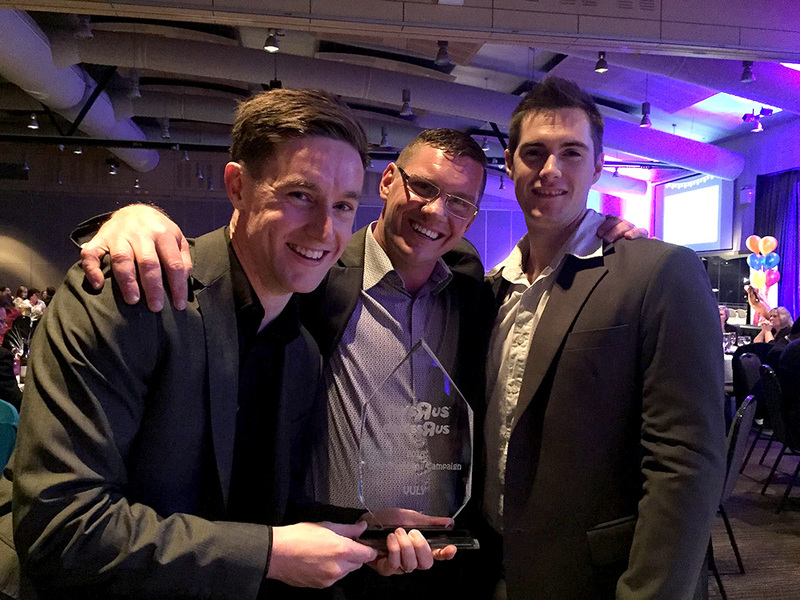 A few members of our great sales and marketing team went along to the Toys ‘R’ Us Vendor Awards Fair this month to accept the award. We’re so proud of the work that we’ve done with Toys ‘R’ Us, and the recognition that they’ve given us. Here’s to many more years, guys! Development (and fun) never stops at Vuly Trampolines. We’re almost ready to make another big announcement, so stay tuned for a monumental update in the coming weeks.